Hollywood is haunted. As an inside joke, writer-director Annie Hannigan—Sam and Elsie’s daughter—comes up with the idea of a “Ghost Script” that may or may not exist but is rumored to expose the inside story of the Hollywood blacklist and the names of its undercover masterminds, most notably the reclusive philanthropist Lyman Murchison, a superpatriot with a dirty secret. Hollywood is haunted. Stumbling his way through this maze is private eye Archie Goldman, a tough-talking, nebbishy good guy who’s never been in a fight he didn’t lose. Archie’s single aim is to live up to the memory of the ghost who haunts him: Detective Sam Hannigan. Trail along with Archie into the middle of this muddle, as he tracks the arc of history and finds that it has rounded itself off into a circular firing squad. 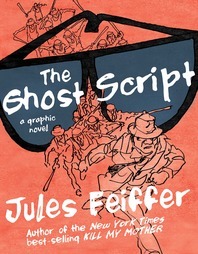 In this antic and brilliant assault on our past and present, Jules Feiffer shows us, once and for all, that if there’s one thing Americans hate, it’s learning from past mistakes. Every twenty years or so, a new generation must address new biases and injustices that are virtually identical to past biases and injustices. But who remembers? 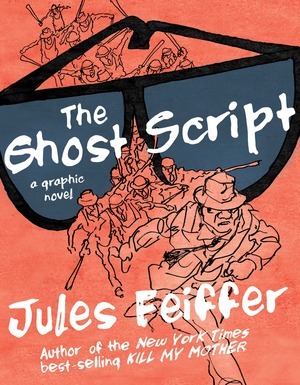 Exposing the tragically cyclical path of American history, Jules Feiffer pens the final installment to a noir masterpiece.